Shake, sit and stay overnight at Puppy Haven dog boarding. 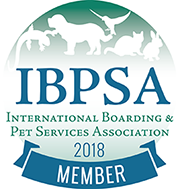 Offering luxury dog boarding, our state of the art accommodations let your pup enjoy his or her vacation. With a variety of pet hospitality amenities and features, your dog will be begging to spend the night (or the week) at Puppy Haven. Each overnight dog guest receives personalized attention from our professionally trained staff, catering to your dog’s individualized needs. Whether your dog requires medicine or an extra belly rub, the concierge staff provides ample care to each canine guest during their boarding stay. All of our overnight guests are provided with an elevated cot and lamb wool bedding. 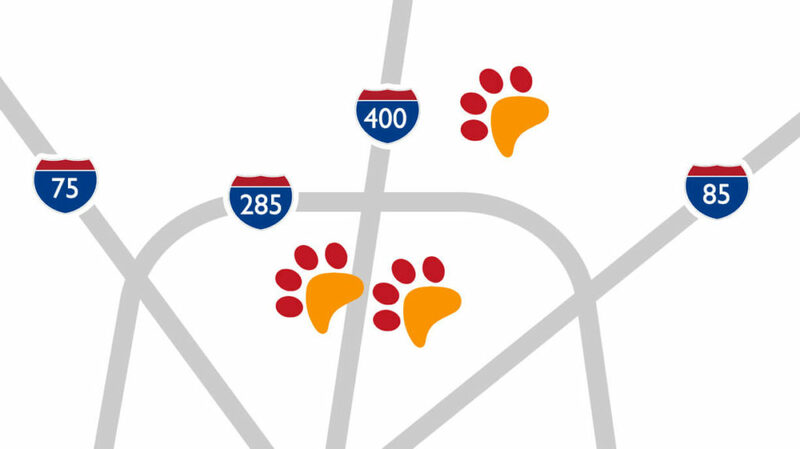 Our spacious suites and apartments ensure your pet will receive a good night’s sleep. 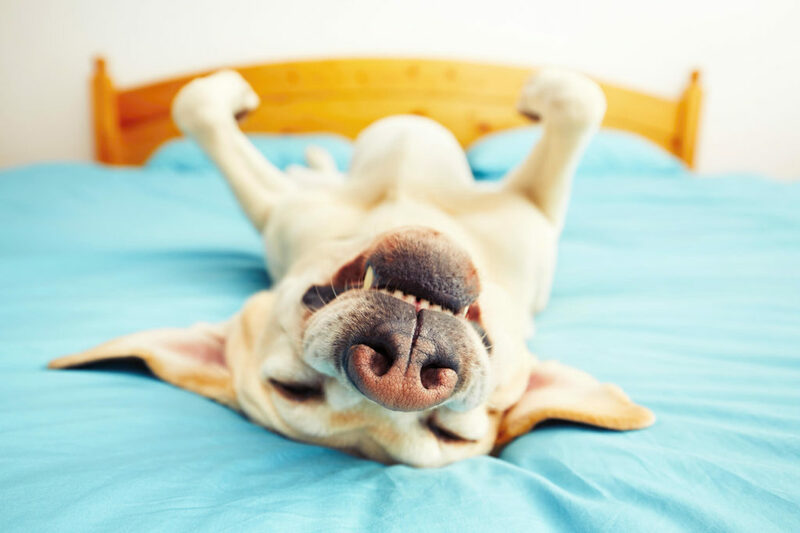 Your dog’s home-away-from-home is complete with climate controlled, private guestrooms for eating and sleeping. 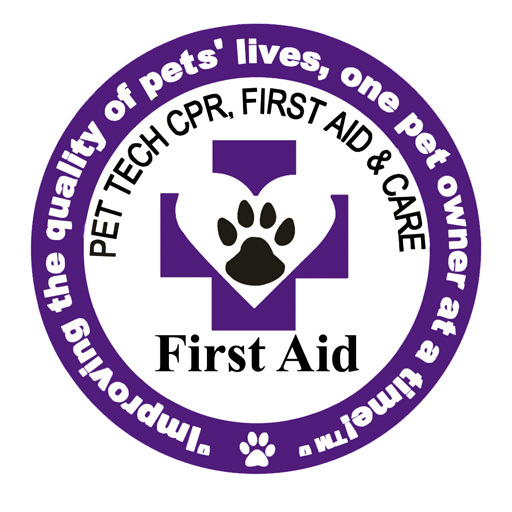 Our most pawpular accommodations provide an at home environment for your pet. Each dog is fed according to their own feeding schedule in their individual space, ensuring they can eat and digest their food in a safe place. We encourage owners to bring their dog’s normal food to maintain a daily routine. Puppy Haven also offers a premium house brand if you (or your pup) prefers at $4 per meal. Upgrade your pup’s experience to one of our luxury suites for the ultimate pampered pooch experience. 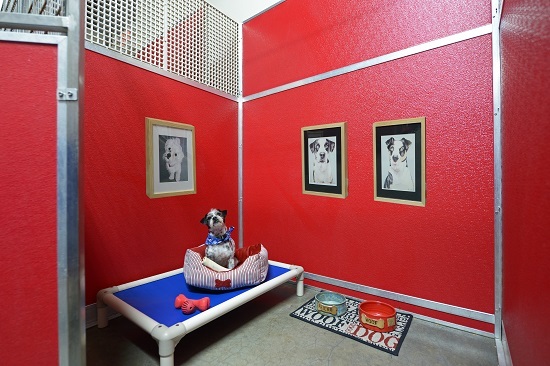 These luxury dog boarding accommodations offer a cage-free experience, perfect for rest and relaxation during your doggy’s stay. 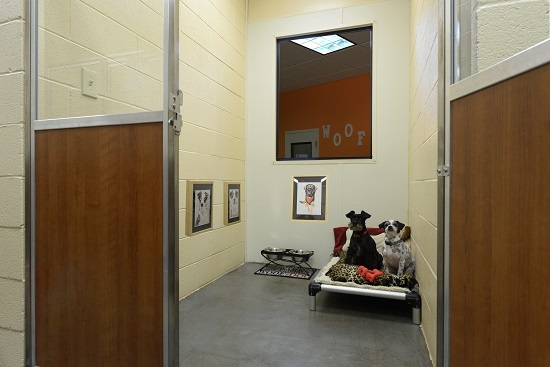 Each luxury suite provides at least 24 square feet of privacy for your pups overnight vacation. Unlike traditional kennels, Puppy Haven’s dog boarding offers the amenities of two days of daycare plus a night of boarding. This means your dog will enjoy ample amounts of group playtime and socialization during his or her vacation at Puppy Haven. We offer competitive pricing for our overnight canine guests. Our dog hotel also offers extended-stay discounts. All boarding rates include daycare for both drop off and pick up days. 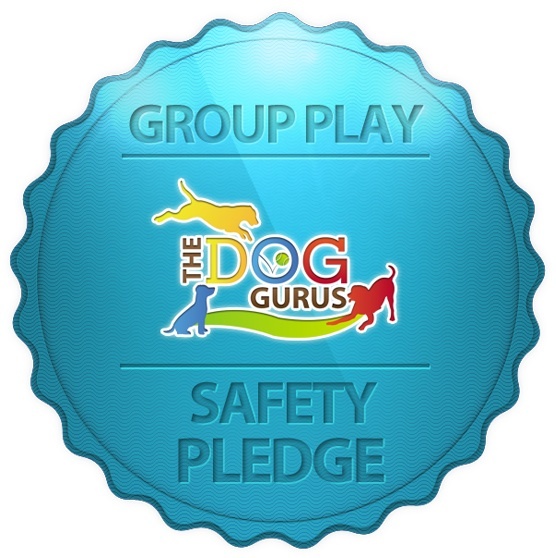 This will allow your pup to enjoy spending time in daycare with his or her other four-legged friends. Please note all pups must first pass a temperament test in order to board at Puppy Haven. Additional Siblings: $30 per night for the second sibling dog who shares a suite or apartment. Then $25 per night for the third or more sibling dogs also sharing the suite or apartment. Extended stay: 10% off stays of 5 nights or more. *We require all boarding dogs to be checked in by 4pm for their stay. Please note we require a 50% deposit on all boarding reservations. Unless over a holiday, reservations may be cancelled up to 48 hours prior to the start of the reservation and the deposit will be returned in full or left as a store credit. Deposits for reservations cancelled 48 hours or less from the start of reservation will be left as a store credit. Deposits for holidays will be left as a store credit if cancelled 7 days or greater prior to the holiday. Reservations cancelled less than 7 days from the start of a holiday will be forfeited and not credited to your account.